first -line treatment for pain and pyrexia,it plays an important role in multimodal analgesia. Acts by inhibition of cyclooxygenase mediated production of prostaglandins. The addition of caffeine to a standard dose of commonly used analgesic provides an increase in the proportion of participants who experience a good level of pain relief. 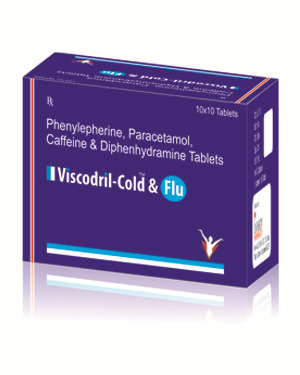 Phenylephrine is a decongestant that shrinks blood vessels in the nasal passsage thus,relieves stuffy nose,sinus congestion or congestion of Eustachian tubes.